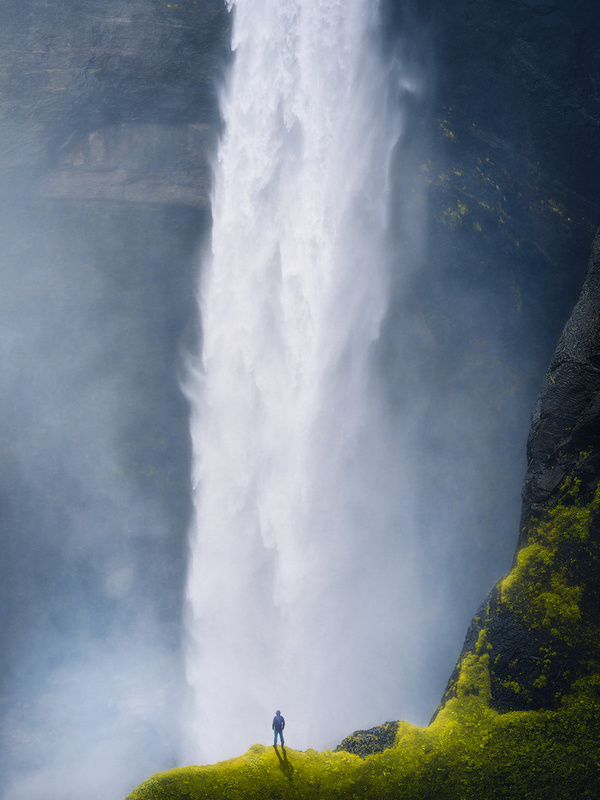 122 meters of raw power at the Icelandic waterfall Haifoss. This is one of the tallest on Iceland, and with its colorful surroundings, it is a spectacular sight. I wanted to show the scale of this beast, so in the post processing I have added myself in front of the waterfall. Also added a cooler colortone to the water and some more saturation to the foreground. And some adjustments to light and shadows.